Ionic has been my preferred for cross-platform mobile application development framework for about 2 years in a row, But lately, the most project I have work on is built with React-Native, I was a big fan of react but I haven't really looked into React-Native until recently. I love Ionic Framework a lot, Many can tell from my previous posts but there are just some projects that you really want to have access to the native APIs with ease and React-Native kind of provide that bridge out of the box. 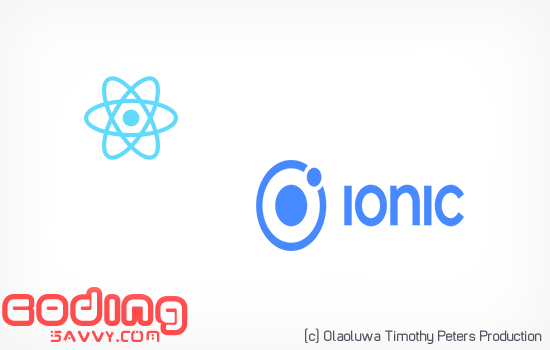 In this Blog post, I will explain my experience with Ionic Framework and why I switched to React-Native on my recent project and also share my opinion whether a beginner should start with Ionic Framework or just go directly to React-Native. A little backstory, Ionic came to life in 2012 with a mindset of allowing Web Developers to use the same skill-set from the web to build mobile applications, Today it is used by thousands of Developers around the world, Ionic allows Developer to choose whether to use Cordova or PhoneGap as the underline technology for the building of Ionic Application, Most Ionic Developers prefers the former because not all the features of the latter were free. Cordova is an Apache product that allows building mobile apps to use standard web technologies i.e HTML, CSS & JS for cross-platform development. 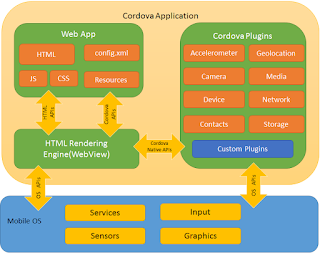 Cordova works by executing applications within wrappers targeted to each platform and rely on standards-compliant API bindings to access each device's capabilities such as sensors, data, network status, etc. MarketWatch, Pacifica, Sworkit and many more apps like Joule: Sous Vide by ChefSteps, McDonald’s Türkiye are all built using Ionic Framework. React-Native started at Facebook as an internal hackathon project, in the summer of 2013 and it was announced at React.js Con. In March of 2015, Facebook announced at F8 that React Native is open and available on GitHub. The flow in React is one-directional. React Native reduce developers work considerably by allowing developers to maintain a single codebase even when targeting multiple mobile platforms. Facebook and Instagram use React Native. Other companies or products using it include Bloomberg, Pinterest, Skype, Tesla, Uber, Walmart, Wix, Discord, Gyroscope, SoundCloud Pulse, Tencent QQ, Vogue, and many more. Firstly, Most of the time my choice of technology is based on client demand and application requirements. Lately, Apps I have worked on requires access to the native APIs of both iOS and Android platform, Accessing native APIs is quiet easy with React-Native compare to Ionic Framework, Writing a Native module is a thing linking it to JS is another thing. React-Native make this process easy for developers because regular React-Native Modules are built using the same technic. Secondly, After building my first React-Native app, I fell in love with the way it works. I notice the change in frame rate and the Native look n feel. I love apps that are fast and also the animation on React-Native are just exceptional. So thats it for me, Thats how I move from Ionic to React-Native, Of course it doesn't mean I won't use Ionic on projects again but I will think about it first before I do. Ionic is still winning in terms of community support also that doesn't mean React-Native community is not growing but because of AngularJS and TypeScript, Ionic is still leading on that aspect. If you have any questions or opinion about this, Feel free to leave a comment below.